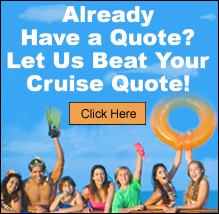 Princess Cruises - Just Cruises Inc.
while sailing on the tranquil waters of the Caribbean. Only on Princess® can you enjoy evenings spent watching Movies Under the Stars®, with complimentary blankets and popcorn. Meet friends for a small bite, wine by the glass and enjoy street performer-style entertainment in the Piazza. Or spend a few hours of tranquility in The Sanctuary - a retreat just for adults where you can enjoy a massage, signature drinks and snacks or the spectacular sea views from your plush lounge chair. With over 120 unique cruise itineraries to more than 380 destinations on 7 continents, Princess can show you the world. Princess caters to those seeking a complete escape from the stressful routine of daily life by being the consummate host in the world’s most beautiful settings. Princess Cruises offers a total experience - more unique itineraries, affordable private balconies, flexible mealtimes with Personal Choice Dining®, and the amenities and individual service of any luxury resort, thanks to the Big Ship Choice, Small Ship Feel of the fleet. Throughout your cruise, whether you love activity or crave tranquility, Princess offers everything you could need for a relaxing, rejuvenating retreat, including a wide variety of freshly prepared cuisine and innovative experiences all designed to help you come back new.